Stressed Young Mother Sitting On Her Sofa Whilst Feeding Her Baby Son. She Has Her Head In Her Hand And Is Surrounded By Mess. Royalty Free Fotografie A Reklamní Fotografie. Image 53224935. 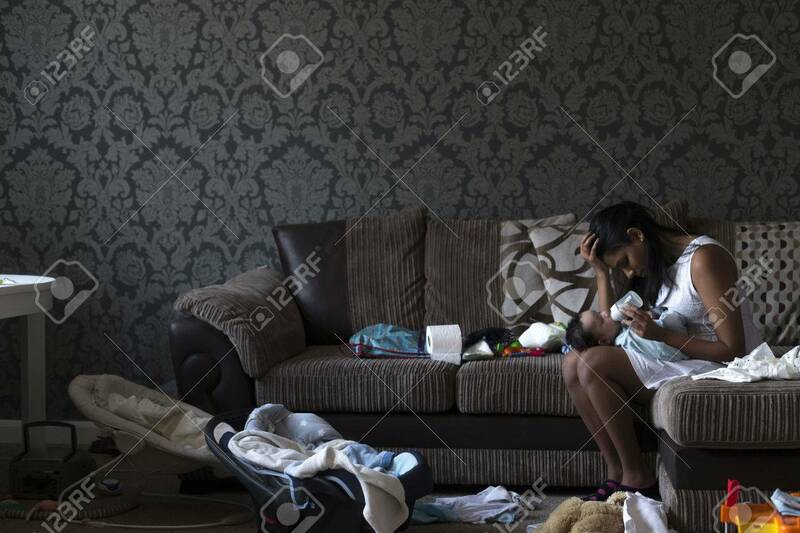 Reklamní fotografie - Stressed young mother sitting on her sofa whilst feeding her baby son. She has her head in her hand and is surrounded by mess. Stressed young mother sitting on her sofa whilst feeding her baby son. She has her head in her hand and is surrounded by mess.